How long has it been since you’ve updated your LinkedIn profile? It’s been a while for me, up until now. In this post we’ll look at creating a free vanity URL for your LinkedIn profile, how to change a LinkedIn profile custom URL, and separating personal and professional brands by creating a LinkedIn Company Page. 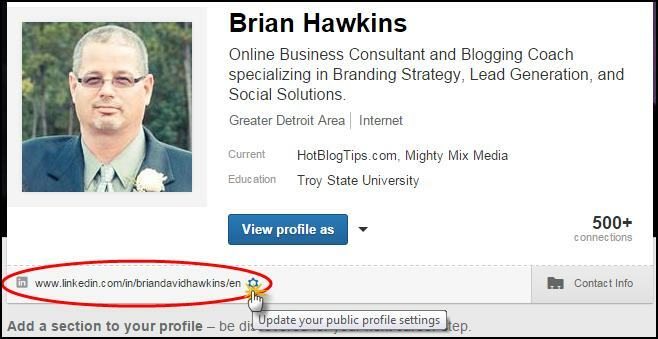 Customizing Your LinkedIn Public Profile URL? Call to action? How about this? Pretty, right? LinkedIn knows that’s not the ideal link format most of us would want to share with others. That’s why they allow us to set a customized vanity URL that will direct other users and visitors to our personal profile page. Did you know you can change your custom LinkedIn Profile URL (vanity URL)? You can, just like you can with Twitter. Not only did I update much of my profile information this morning, I changed the custom profile URL (custom vanity URL) LinkedIn allows us to have. I had “csc4u” as my LinkedIn custom URL extension for many years. My original brand was Common Sense Communications and I was using csc4u.com for the company domain. I’ve re-branded to Mighty Mix Media but since we’re talking about a personal LinkedIn profile here, I changed from csc4u to BrianDavidHawkins. It’s a little long but BrianHawkins and brianDhawkins were both taken. I feel very fortunate to find BrianDavidHawkins available after waiting so many years. SEO: Since we’re dealing with a redirect here, I don’t see a real issue with PageRank, unless you have some high authority sites linking to your LinkedIn profile via the vanity redirect you are thinking about changing. Links from news and other large media sites might be tough, if not impossible, to get changed. If LinkedIn profile pages hold PageRank, and I believe they do, that rank should be assigned to the original profile URL, e.g. https://www.linkedin.com/profile/view?id=27717140, not the vanity redirect. That’s not to say, however, PageRank hasn’t been flowing through those redirects to your actual profile URL. Backlinks: Now links you’ve setup over the years is another story. 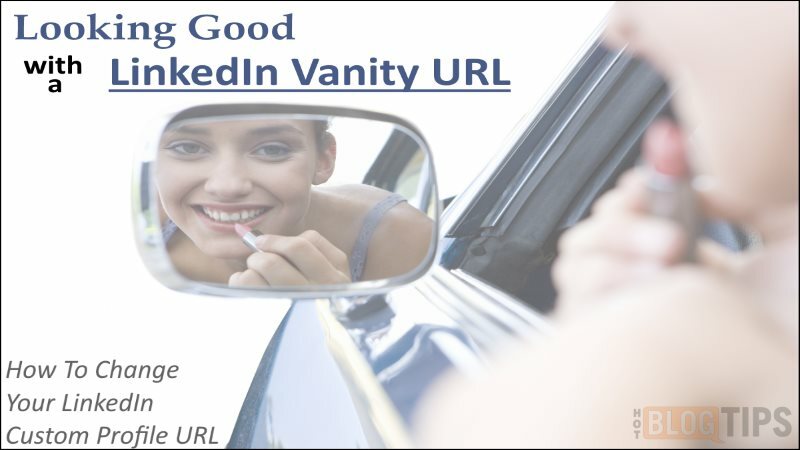 You should know that you’re old vanity URL WILL NOT work once you’ve changed it and, after 180 days, it will become available for another LinkedIn member to use. So if you have a bunch of links to your old vanity URL across many social media networks and you don’t update the links, they will get a 404 or possibly someone else’s profile. 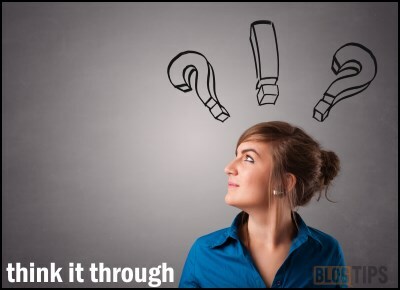 Are you going to break a bunch of links on your blog by changing that URL? What about guest blog posts? How many links will need to be updated if you do? Sites that rank by connection such as Empire Avenue, Klout, Kred, and PeerIndex (Brandwatch) but use Open Authentication (OATH) shouldn’t be an issue but it might be worth checking. Don’t forget social media profiles like Facebook and Google Plus. If you have an About.me page, that may need updated as well. Frequency Limit: It seems like way more than enough but I thought I’d bring it up anyway. You can change or update your LinkedIn custom URL up to five times every six months. Your old profile custom link won’t be available for use by another user for six months as well. Changing your LinkedIn personal profile URL (see below for company/business pages) is a simple task. ✔ Go to your personal profile page by clicking the “Profile” link in the top menu next to “Home“. ✔ Hover your mouse over the custom link below your photo in the top basic info box. This will display a gearbox to click. ✔ Now you’ll see the “Your public profile URL” section at the top of the right sidebar (column). ✔ Click the “Save” button that appears once you’ve made the change and you’re all set. I didn’t have a LinkedIn company page until this morning either. I setup a company page on LinkedIn for two reasons. First, I wanted to include “changing a LinkedIn company page URL” in this post. I know, crazy right? Secondly, I have been using a brand’s URL (in a matter of speaking) for my personal LinkedIn profile for almost seven years. Once I switched to “BrianDavidHawkins“, I decided to try to secure HotBlogTips since I always say and write, “find us on @HotBlogTips everywhere“. That hasn’t been true for LinkedIn and this is actually the first time I’ve realized that. I could have easily changed my LinkedIn personal profile custom URL to HotBlogTips but, like I said, it’s all about branding; both personal and business. So it was high time to make things right on LinkedIn. So I setup my very first LinkedIn company page. It was surprisingly easy to create and it literally took just minutes (after I re-sized a few logo images to 646 x 220, 100×60, and 50×50 pixels). Okay, that’s not the end of the world but I sure could go without those dashes. Remember, I have @HotBlogTips everywhere and I really want that to include LinkedIn. I searched for over an hour trying to figure out how to change a LinkedIn company page URL. The answer is: there isn’t a way to edit your LinkedIn company page URL like you can your LinkedIn personal profile URL. Except, that is, with a little help from LinkedIn’s support team. I could not have been more impressed this morning when I decided to give it the old college try and see if LinkedIn would change the URL for me. I sent in a support ticket at 10:40am to LinkedIn Support and just three minutes later they solved my problem and replied to the help ticket. 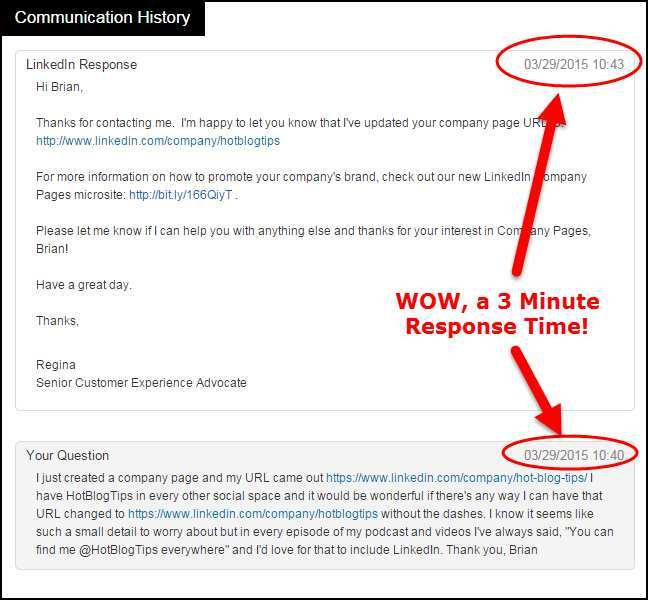 In just 3 mins, @LinkedIn @LinkedInHelp solved my problem and replied to the help ticket. Seriously, it was so fast that just seconds after I sent the request, I thought, “Oh no, what if someone else is already using hotblogtips“. I tried it and it went straight to someone’s company page – mine! It couldn’t have been a full minute and Regina with LinkedIn support had already changed the URL for me. Thank you Regina. This post was inspired by Kimberly Castleberry’s 10 Tips To Get Your Profile Found On LinkedIn.